President Trump Wants to Reduce Patient Out-of-Pocket Costs. BeneCard PBF’s Expert Clinical Care Coordination Improves Patient Safety and Reduces Costs by Combatting Inappropriate Prescribing. The Trump administration’s blueprint for improvements to the American healthcare system calls out the need to reduce patient out-of-pocket costs. BeneCard PBF, a privately owned, independent PBM, helps keep costs down for patients and plan sponsors by providing expert clinical coordination of care focused on patient safety. Each year, the United States spends nearly $1 billion on inappropriate and unnecessary prescribing that puts patients at risk. Adverse drug reactions, often caused by such practices, are a leading cause of hospitalization in the U.S. and can double a patient’s risk of mortality, as well as the length and cost of hospital stays. This, in turn, contributes to the rising cost of healthcare, including patients’ out-of-pocket expenses. BeneCard PBF reduces these risks and their associated costs by improving the communication between patients, pharmacies and physicians. Founded on the principle of clinical excellence, the company provides clinical management of care that helps members lead healthier lives and reduces the number of inappropriate prescription claims. Pharmacists at BeneCard PBF act as central liaisons between physicians, pharmacies, members, plan sponsors and specialists involved in patient care. In addition, the company’s advanced claim processing system ensures a high standard of communication by providing real-time, point-of-sale messaging. Working together, BeneCard PBF, pharmacies and healthcare providers can help patients get healthier, sooner and prevent contraindicated and potentially harmful medications from being placed in patients’ hands. Although transparency and rebate structures have received a great deal of attention in the media and at all levels of government, these issues are symptoms of an industry that must evolve to put patient safety first. BeneCard PBF acts to prevent catastrophic medical complications caused by inappropriate drug utilization. While other PBMs answer to shareholders and Wall Street, BeneCard PBF’s status as an independent, privately owned organization allows it to align with patients’ best interests and plan sponsors’ goals. BeneCard PBF embraces a patient-first approach that gives members the care they need, leading to fewer health complications and lower overall costs. Its prescription trend results prove the effectiveness of this approach. Although drug costs continue to rise and the PBM industry’s average seven-year prescription trend sits at 47.80%, BeneCard PBF’s seven-year trend is less than half that – just 19.67%. Lower prescription trends equate to savings that compound year after year. BeneCard PBF continually outperforms the industry thanks to its clinically focused, ethical and transparent approach. BeneCard PBF is a national, full-service pharmacy benefit manager (PBM) that excels in patient-centric care. The company defies industry norms and delivers clinically focused, ethical and purely transparent PBM solutions. To achieve proven lower net costs, the company aligns its interests with its clients’ needs through proactive clinical programs and award-winning customer service. For more information, visit www.benecardpbf.com or contact Hugh Gallagher at 267-605-6428. As national attention focuses more strongly on pharmacy benefit managers (PBMs) and drug costs, the presidential administration has proposed PBMs pass through at least 33% of all rebates collected on drugs covered by Medicare Part D. BeneCard PBF already offers full pass-through of the rebates it receives to its clients. The call for rebate pass-through is based on concerns that PBMs retain undefined drug rebate amounts for themselves, adding to their profits rather than lowering prices for patients and plan sponsors. BeneCard PBF believes in a more transparent approach to rebates and pharmacy benefit management. The company offers full pass-through arrangements that help plan sponsors clearly see how prescription benefit dollars are being spent. Under BeneCard PBF’s transparent model, clients benefit from immediate impact from negotiated improvements in both drug discounts and rebates. BeneCard PBF’s clinically focused model keeps patients at the forefront. Members get the right medication for them, not the medications that create profits for the PBM through rebate retention. The company’s experience has proven that a business model driven by patient-centric clinical coordination of care, not rebates, reduces costs. The result of this focus clearly show in BeneCard PBF’s trend. Lower prescription trends equate to savings that compound year after year. Although drug costs continue to rise, and the PBM industry’s average seven-year prescription trend sits at 47.80%, BeneCard PBF’s seven-year trend is less than half that at 19.67%. Thanks to its clinically focused, ethical and transparent approach combined with adaptable, advanced technology, BeneCard PBF continually outperforms the industry. BeneCard PBF is a national, full-service Prescription Benefit Manager that excels in patient-centric care. The company defies industry norms and delivers clinically focused, ethical and purely transparent PBM solutions. To achieve proven lower net costs, the company aligns its interests with its clients’ needs through proactive clinical programs and award-winning customer service. For more information, visit www.benecardpbf.com or contact Hugh Gallagher at 267-605-6428. Former New Jersey Governor Chris Christie is continuing his fight against the opioid epidemic by joining the board of Beach House Center for Recovery in Juno Beach, Florida as Executive Chairman. The Center is a nationally recognized drug and alcohol treatment provider that employs a truly unique approach to fighting addiction. In his leadership role on the board, Christie will offer strategic counsel and insights to effectively combat the opioid epidemic on multiple fronts, in a shared vision with Beach House to make recovery possible for as many addicts as possible. His focus will be to end suffering, help families and strengthen our nation’s workforce and economy. He’ll work with management in reviewing plans, defining issues and maintaining accountability. For Christie, addiction is a personal issue. In 2006, a law school classmate and close friend overdosed on the lethal combination of opioids and alcohol at age 52. Previously, he had taken part in an intervention with family and friends to try and save his friend’s life, but to no avail. Unfortunately, he witnessed firsthand the devastation addiction wreaks on families. While in office, he worked to pass legislation and provide support for those addicted to opioids. He served as a board member of Daytop Village, a treatment facility in Mendham, NJ and chaired the President’s Opioid and Drug Abuse Commission until December 2017. Founded in 2014, Beach House Center for Recovery is a nationally recognized drug and alcohol treatment provider offering a full continuum of medical and clinical integrated care to people with substance abuse and co-occurring disorders. A BelHealth portfolio company, the state-of-the-art treatment facility is located on a five-acre recovery campus in the coastal town of Juno Beach, Florida and serves clients from across the nation. Based on an individual client’s needs, the Center offers abstinence-based treatment, as well as medically-assisted treatment (MAT). Its outcomes-based model, which entails coordinating care across the full spectrum of needs/services is unparalleled. The Beach House staff assist clients at all levels including medically managed detox, residential inpatient, outpatient and continuing care phases of recovery. Clients receive highly individualized treatment options within a supportive setting that emphasizes the healing power of love and connection. With long-term recovery outcomes that outperform the industry, Beach House is recognized as a trusted provider of evidence-based addiction treatment and is a center for clinical excellence. BelHealth Investment Partners, based in New York, is a healthcare private equity firm focused on lower middle market companies. BelHealth has a unique combination of investing, executive management and entrepreneurial experience. BelHealth acquires majority positions in entrepreneur-owned companies that it believes would benefit from its extensive operating and private equity investment expertise. The firm invests across three core healthcare segments: Services, Products and Distribution. BelHealth is investing from its current $350 million fund. The Trump administration recently released its Blueprint in Brief, outlining challenges and key strategies for needed change in the American drug market. The administration has asked for input to inform these actions, and BeneCard PBF welcomes this discussion. In fact, the company has pioneered a transparent PBM model that goes above and beyond the administration’s plan. Transparency represents a key part of the administration’s plan to lower drug prices. This is the foundation upon which BeneCard PBF was established ten years ago. The company not only offers patient’s real-time detailed pricing information to support decision making, they also encourage annual audits to verify their model and results. This evolved PBM model invites an open dialogue and places patients at the center of coordinated care. The company’s transparent approach and advanced clinical programs eliminate waste and deliver improved health outcomes and cost savings. As PBMs combine with health plans and get bigger, patients get smaller. Most of the PBM industry focuses on profit-margins, mergers, and acquisitions. BeneCard PBF focuses on people with a unique business model that drives improved health outcomes and immediately passes through savings. The company’s experience has proven that an emphasis on patient-centric clinical coordination of care allows the development of advanced clinical programs that truly focus on improved health outcomes. This personalized health management, made possible by a transparent PBM model that puts people first, contains drugs costs. BeneCard PBF delivers clinically focused, ethical and transparent pharmacy benefit services. Its advanced technology easily adapts to meet the demands of an ever-changing industry. Although drug costs continue to rise, and the PBM industry’s average seven-year prescription trend sits at 47.80%, BeneCard PBF’s seven-year trend is less than half of that at 19.67%. Lower prescription trends generate savings that compound year over year, and BeneCard PBF continues to outperform the industry. BeneCard PBF is a national, full-service Prescription Benefit Manager that excels in patient-centric care. The company defies industry norms and delivers clinically focused, ethical and purely transparent PBM solutions. To achieve proven lower net costs, the company aligns its interests with its clients’ needs through proactive clinical programs and award-winning customer service. For more information, visit www.benecardpbf.com, or contact Hugh Gallagher at 267-605-6428. Froggy’s Fog, a leading manufacturer of fog, haze, smoke, snow and bubble fluids and equipment announces the introduction of Fobbles, a completely unique, patent-pending machine that makes bubbles, fog, haze and fog-filled bubbles (AKA “Fobbles”). www.fobbles.com. Fobbles is now available in two models, Consumer and Professional. The Consumer version is portable, lightweight and ideal for birthday parties, home entertaining, weddings, Halloween and Christmas decorating and everyday backyard fun. The Professional unit is ideal for such commercial uses as concerts, amusement and theme parks, family entertainment centers, corporate events, theaters, sporting events, schools and more. 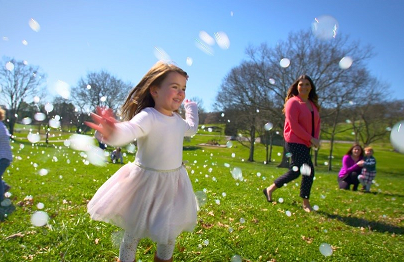 Fobbles are environmentally safe, biodegradable, non-toxic and safe for kids! In November 2017 at the Live Design International (LDI) Show, Froggy’s Fog received Honorable Mention for its innovation with the Fobbles professional machine in the “Best Debuting Product: Special Effects” category. The Professional Model sells for $499 with free shipping to the lower 48 United States. Froggy’s Fog is a national category leader in fog, haze, snow and bubble fluids and the machines that disperse them. Before Froggy’s Fog was started, company cofounder Chris Markgraf noticed the employees and children complaining of an odor and dry eyes after being in fog products used at the Family Entertainment Center he owned and operated. His idea to produce a non-toxic, kid-friendly fog effect, became a reality when he eventually launched Froggy’s Fog with his partner, Adam Pogue. The partners invented a longer lasting fog that was less irritating and made the lasers of laser tag and the lights in the family entertainment center look great. They took this passion for better effects to design superior bubble, haze, snow and now fog-bubble products. The fluids are 100% Made in the U.S. and include lab-grade UV-filtered de-ionized water and pharmaceutical grade ingredients. Using the highest-grade ingredients available significantly limits adverse effects and irritations. The company’s products are not only fun but safe for kids of all ages. NJ Sharing Network, the non-profit, federally designated organ procurement organization responsible for the recovery of organs and tissue in the state, today announced they are among the top 25 Best Places to Work in New Jersey selected by NJBIZ. The Best Places to Work in New Jersey awards program recognizes and honors the state’s top employers who show a dedication to their employees’ professional growth and quality of life. A range of positives including employee benefits, work-life balance, salary and culture are just a few ways 2018’s Best Places to Work in New Jersey honorees have set themselves apart. Best Places to Work companies are determined through the completion of a Best Places to Work questionnaire as well as an employee survey from Best Companies Group, sister company of NJBIZ. NJ Sharing Network was among 100 small, medium and large-sized companies who were recognized. In 2017, more New Jersey residents gave the gift of live than ever before, resulting in over 550 lives saved. There are currently nearly 4,000 New Jersey residents awaiting a life-saving transplant. Every day, approximately three people are added to the New Jersey waiting list and last year nearly 100 people died while waiting for a transplant. One organ donor can save eight lives and one tissue donor can restore health to over 75 people. NJ Sharing Network saves lives through organ and tissue donation. Located in New Providence, NJ, the organization recovers organs and tissue and belongs to a national network that helps the 115,000 people waiting for a transplant. New Jersey residents can help save lives by registering as organ and tissue donors at www.NJSharingNetwork.org, having a conversation with family and friends and joining NJ Sharing Network at its upcoming events. Officials from the Transplant Games of America® (TGA) today announced that the New Jersey Meadowlands Community will host the Donate Life Transplant Games from July 17-22, 2020. The Games are a multi-sport festival for individuals who have undergone life-saving transplant surgeries. Competition events are open to living donors, organ transplant recipients, and bone marrow, corneal and tissue transplant recipients. The six-day event includes a full schedule of special events that recognize the success of donation and transplantation while honoring the generosity of donors and their families. The successful bid was a collaboration of local partners led by NJ Sharing Network, the state’s organ procurement organization that saves lives through organ and tissue donation. “There were many compelling bids to host the Transplant Games but it was clear that the Meadowlands Liberty Convention & Visitors Bureau and NJ Sharing Network were the right partners to make this the best Transplant Games ever. NJ Sharing Network’s leadership enables them to consistently deliver extraordinary results in areas that include education, fundraising, public policy, medical services and more. We know they’ll put that same rigor and excellence behind the Transplant Games,” said Bill Ryan, President and CEO of the Transplant Games of America, an initiative of the Transplant Life Foundation. Ryan added that the Meadowlands offers top-level facilities and unparalleled access to the greater metro New York area. As such, it will attract national and local media, offer a myriad of transportation and logistical options and conveniences. “The Meadowlands location will serve as a magnet for participants and spectators who want to visit local attractions – from the Big Apple to the Jersey Shore,” said Ryan. The Transplant Games of America will include over 20 competitions as well as a full program of special events. It is anticipated that the 2020 Games will include some unique “winter” competitions as part the of American Dream project. Lead partners include NJ Sharing Network, Hackensack Meridian Health, RWJ Barnabas Health, Novartis, American Dream, Meadowlands Regional Chamber of Commerce and the Meadowlands Liberty Convention and Visitors Bureau. “Hosting the Transplant Games, ‘live from the Meadowlands,’ home of world renowned major sporting events, will not only showcase the incredible competitors but it will elevate the awareness and importance of organ and tissue donation advancing the Donate Life cause. We are extremely honored and proud to be a partner of the 2020 games,” said Jim Kirkos, President and CEO of Meadowlands Regional Chamber of Commerce. Today there are 115,000 individuals in the United States waiting for a life-saving transplant, and nearly 4,000 are waiting in New Jersey. Nationwide, 20 people die each day waiting for a transplant. The Transplant Games of America® is a 501(c)(3) non-profit whose mission is to promote organ, eye, and tissue donation, as well as to bring awareness to the tremendous advances in the field of transplantation and in the development of immuno-suppressant drugs in the pharmaceutical industry. NJ Sharing Network saves lives through organ and tissue donation. Located in New Providence, NJ, the organization recovers organs and tissue and belongs to a national network that helps the 115,000 people waiting for a transplant. In 2017, more New Jersey residents gave the gift of life than ever before, resulting in over 550 lives saved. 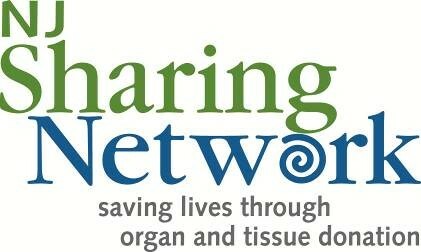 New Jersey residents can help save lives by registering as organ and tissue donors at www.NJSharingNetwork.org, having a conversation with family and friends and joining NJ Sharing Network at its upcoming events. The Meadowlands Regional Chamber (MRC) has a membership of more than 1,100 businesses and advocates for both economic and destination development. The Meadowlands Liberty Convention and Visitors Bureau (MLCVB), a division of the Meadowlands Regional Chamber, is the comprehensive destination-marketing channel for travel to the metropolitan New Jersey region. The MLCVB presents its unique sports, entertainment, ecological, cultural and transportation assets as an emerging primary destination as well as an alternative to New York City to attract new and extended visits. The MRC and the MLCVB played crucial roles in bringing the 2014 Super Bowl to the region, and it continues to lead the public debate surrounding issues that will affect the growth of the region. Celsius Holdings, Inc. (Nasdaq: CELH), makers of the leading global fitness drink, CELSIUS®, today announced its signing as Presenting Sponsor of the 2018 Tough Mudder North America Challenge event series which includes Tough Mudder Half, Tough Mudder Full and the newly launched Tough Mudder 5K. This strategic move fulfills a major marketing initiative for the brand, whose slogan and targeted demographics’ goal is to “Live Fit.” CELSIUS® is pioneering a new industry segment of “fitness drinks,” a designation which also describes the brand’s functional attributes. CELSIUS® drinks are dietary supplements that contain a proprietary thermogenic MetaPlus® blend, proven to accelerate metabolism, provide healthy energy and burn body fat when combined with exercise. These unique, proven qualities make this partnership a success, and achieve CELSIUS®’ goal of increasing brand awareness by tapping into Tough Mudder’s extensive fan base and its “Tougher Together” brand platform. The sponsorship and 2018 Tough Mudder season kicks off this weekend, March 3-4 at East Walker Ranch in the Los Angeles area. With over 100 events across North America during Tough Mudder weekends, and more than three million loyal fitness enthusiasts committed to the Tough Mudder lifestyle (also known as “Mudder Nation”) CELSIUS® seized the Presenting Sponsor spot, anchoring the energy drink position and locking out the competition. As a recognized pre-workout drink, CELSIUS® will be available before select events to energize experienced Mudders and newbies for the demanding obstacles ahead. The Presenting Sponsorship secures the CELSIUS® brand with a coveted position in a logo lockup across the growing Tough Mudder franchise, an iconic and widely recognized series of obstacle course challenges spanning the globe. CELSIUS® will mark its presence at Tough Mudder events through sampling opportunities, consumer engagements and sponsored branding on one of the most legendary teamwork obstacles, Everest, across all event formats. Additionally, it will serve as an Official Sponsor of the Toughest Mudder and World’s Toughest Mudder race series. CELSIUS® will have a considerable brand presence on multiple video platforms as Tough Mudder has grown into a media and entertainment brand with content featured on CBS, The CW, Facebook and YouTube garnering millions of viewers throughout the year. Tough Mudder is a brand built on teamwork, courage, personal accomplishment and fun. Last year, CELSIUS® was tested for receptivity as a Tough Mudder Local Sponsor in ten cities. It was embraced by participants and organizers alike because it speaks to the spirit of Tough Mudder, given CELSIUS®’ “Live Fit” brand tagline. CELSIUS® provided samples pre-event, delivering delicious, and thermogenic energy to accelerate participants’ performance levels to help endure a series of demanding obstacle courses that test strength, grit and stamina. Challenge Series participants will have the choice of sampling original and natural sparkling flavors of CELSIUS®: Cucumber Lime, Grapefruit, Orange, Grape Rush, Watermelon, Wild Berry, Orange Pomegranate, Cola – and two non-carbonated flavors – Peach Mango and Raspberry Acai. CELSIUS® is available in 12oz cans and is non-GMO, gluten free, Kosher, Vegan-Accepted, contains 100% of seven essential vitamins with no aspartame or high fructose corn syrup and no artificial preservatives or flavors. Mudders who participate in Toughest Mudder and World’s Toughest Mudder, will also be introduced to CELSIUS HEAT™, the thermogenic, trainer-grade pre-workout packed with 300mg and 2,000mg of L-citrulline. CELSIUS HEAT™ comes in 16oz cans and is geared towards serious fitness consumers, trainers, athletes and military personnel who are interested in products that will take their training to the next level. Its carbonated line consists of Inferno Punch, Cherry Lime, Blueberry Pomegranate, Strawberry Dragonfruit, Tangerine Grapefruit and the two newest additions, Apple Jack’d and Orangesicle. Registration and spectator tickets are available for all Tough Mudder 2018 events. For more information, visit www.toughmudder.com. Visit the CELSIUS® corporate website at www.CELSIUSHoldingsInc.com to learn more, or the branded websites: www.CELSIUS.com and www.CELSIUSHEAT.com. Founded in 2010 with the launch of the Tough Mudder obstacle course event series, Tough Mudder Inc. has become a leading global sports, active lifestyle and media brand. With more than 3 million participants, the company hosts more than 130 non-competitive (Mini Mudder; Tough Mudder 5K, Tough Mudder Half, and Tough Mudder Full) and competitive (Tougher, Toughest, Tough Mudder X and World’s Toughest Mudder) events annually in 11 countries including China, Dubai, Indonesia, South Africa, Australia and New Zealand through its partnerships with IMG, Seroja, Invictus Events and Entertainment, and Sports Media and Entertainment 360 (SME360). The company’s content arm provides the more than 7.6 million engaged online brand enthusiasts with fitness, nutrition and wellness content delivered daily across social and digital platforms. Tough Mudder broadcast, OTT and Live Stream programming can be seen worldwide through partnerships with CBS Sports, Facebook, Sky Sports, The CW Network and ESPN Media Distribution. Other sponsorship and distribution partners include CELSIUS, Merrell, KILL CLIFF, Guinness, Samsung, Lucozade Sport, Toyo Tires, Kingstone Press, Black Tower Wines, TREK, Strandgut, Snap and Live Stream. Celsius Holdings, Inc. (Nasdaq: CELH), founded in April, 2004, is a global company with a proprietary, clinically proven formula for its brand CELSIUS®. Celsius Holdings, Inc. has a corporate mission to become the global leader of a branded portfolio consisting of proprietary, clinically proven innovations that offer significant health benefits. CELSIUS®’ Original Line comes in seven delicious sparkling and non-carbonated flavors in sleek 12oz cans and is also available in two flavors of on-the-go powders, in boxes containing 14 count single-serve sticks. CELSIUS®’ Natural Line is available in six refreshing flavors: three sparkling and three non-carbonated. This line is naturally caffeinated and naturally sweetened. New to the portfolio, CELSIUS HEAT™ is a trainer’s grade version of the same clinically proven MetaPlus® Blend formula, and, for those desiring the next level of fitness, contains an additional 100mg of caffeine and 2,000mg of L-citrulline, a vasodilator. CELSIUS HEAT™ is sold in 16oz cans and is available in seven carbonated flavors: Inferno Punch, Cherry Lime, Blueberry Pomegranate, Strawberry Dragonfruit, Tangerine Grapefruit, Apple Jack’d and Orangesicle. CELSIUS HEAT™ is a thermogenic pre-workout drink and targets professional trainers, competitive athletes, the military and first responders. CELSIUS HEAT™ was developed for those seeking a trainer-grade version of CELSIUS® versus the Original Line, which is sold in a smaller can package and appeals to the masses as an active lifestyle brand. CELSIUS® has zero sugar, no preservatives, no aspartame, no high fructose corn syrup, and is non-GMO, with no artificial flavors or colors. The CELSIUS® line of products is Certified Kosher and Vegan. CELSIUS® is also soy and gluten-free, and contains very little sodium. CELSIUS® is sold nationally at fitness clubs, 7-Eleven, Sprouts, The Fresh Market and key regional retailers such as HEB, Publix, Winn-Dixie, Harris Teeter, Shaw’s and others including online e-tailers like Amazon. CELSIUS®’ functional claims are backed by six published university studies. The first study was conducted in 2005 and additional studies from the University of Oklahoma were conducted over the next five years. The studies were published in peer-reviewed journals and validate the unique benefits that CELSIUS® provides. For more information, please visit www.celsiusholdingsinc.com. National Vision Administrators (NVA), a Clifton, New Jersey-based vision benefits administrator, is partnering with nonprofit AmpleHarvest.org to help home gardeners donate their surplus produce to feed the hungry throughout the state. According to The Feeding America’s 2012 Food Insecurity Report, in New Jersey, the food insecurity rate is at 13%, with 1,141,890 people being “food insecure.” Food insecurity refers to a condition where a lack of access to safe and nutritious food prevents people from living healthy and active lives. The numbers have grown annually as indicated in The Feeding America 2014 study, which noted that 62% of feeding programs in New Jersey saw an increase in demand over the previous year. NVA’s President, David Karlin is now serving as AmpleHarvest.org’s board president and NVA has donated $10,000.00 to fund the creation of the first national database of food pantries that enables home gardeners to donate excess vegetables and fruits. A pioneering nonprofit, AmpleHarvest.org has created the first ever national registry/database of food pantries to expedite donations from home and community gardeners. NVA is supporting the effort and encouraging other companies to do the same. According to the Natural Resource Defense Council 2017 report, 50% of our produce is never consumed. Food waste comes from a variety of sources including produce that is discarded by millions of backyard gardeners, estimated to be more than 11 billion pounds based on an analysis by Cisco Systems. Food is wasted because gardeners harvest more than they can use. This excess could feed 28 million people in the U.S. annually. Moreover, food pantries nationwide desperately need fresh food. Each year, they feed 50 million people. NVA Smart Buyer® program, which helps people be smarter buyers of eye care and eyewear. Supporting AmpleHarvest.org will enable home gardeners to be smarter stewards of their bounties. To serve the needs of its clients, NVA is unique in being independently operated and not owned by an optical retail chain or lens/frame manufacturer. NVA provides 24/7/365 live U.S.-based customer service. For more information about the company, contact 1-888-682-2020 or visit www.e-nva.com. AmpleHarvest.org, Inc. is a 501c3 not-for-profit organization that works to diminish food waste and hunger in America by educating, encouraging and empowering growers to easily find a local food bank eager to receive their excess garden bounty. For more information, visit http://www.AmpleHarvest.org/presskit or call AMPLE-6-9880 (267-536-9880). Celsius Holdings, Inc. (Nasdaq: CELH), maker of the leading global fitness drink, CELSIUS®, today announced that its new trainer-grade line, CELSIUS HEAT™, was selected as one of Beverage Industry’s Innovations of the Year in the energy drink category. The editors of Beverage Industry, the leading trade publication written for executives of the beverage processing industry, evaluated new beverage launches released throughout 2017. 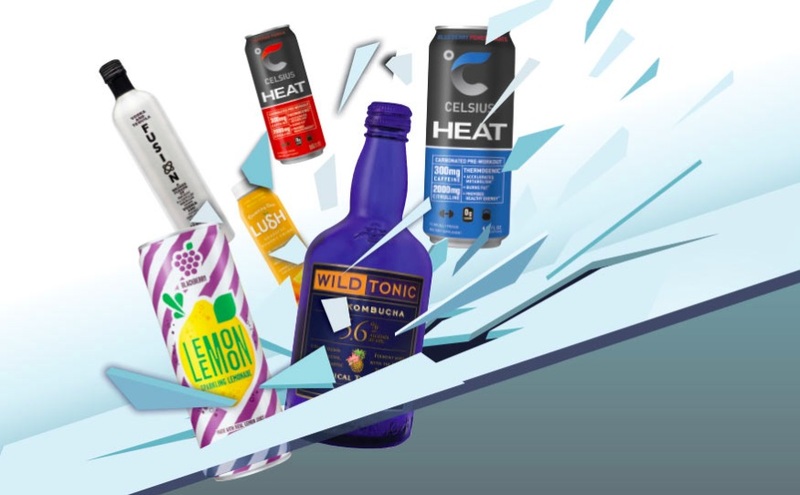 As a result, the editors identified the five beverages that are driving innovation based on their unique characteristics and ability to fill a need within the beverage market. In CELSIUS HEAT™’s case, the demand was for a proven, trainer-grade pre-workout drink that provides long-lasting energy. The 2017 Innovations of the Year will be featured in Beverage Industry’s December issue. CELSIUS HEAT™ is a dietary supplement that contains the proprietary thermogenic formula, MetaPlus®, also found in CELSIUS® Original and Natural line extensions, which accelerates metabolism, burns fat and boosts energy when combined with exercise. HEAT™’s 16oz. carbonated can contains 300mg of caffeine and 2,000mg of L-Citrulline. It is designed to serve as a supercharged version of the original CELSIUS® formula, ideal for trainers, body builders, military personnel and endurance athletes looking to optimize their training results. Celsius Holdings launched CELSIUS HEAT™ in the fitness channel nationwide early in the second quarter, 2017, featuring three flavors: Inferno Punch, Blueberry Pomegranate and Cherry Lime. In September, we introduced those three flavors to the convenience store channel and also broadened the line with the addition of Strawberry Dragonfruit and Tangerine Grapefruit flavors to the fitness channel. CELSIUS®’ PROVEN campaign surrounding HEAT™ features platinum recording artist, Flo Rida. Flo Rida personifies the brand and is the newly appointed CELSIUS HEAT™ Elite, Chief Ambassador, who will lead the “HEAT™ Elite,” a hand-picked group of individuals who excel at fitness performance and are PROVEN to excel in their chosen field. He relies on CELSIUS HEAT™ to optimize his training results and give him the healthy energy he needs to rock grueling concerts and workouts. Flo Rida puts a premium on health and fitness and believes in the delicious, thermogenic pre-workout drink. The PROVEN campaign is currently showcased on billboards featuring Flo Rida throughout Florida and Texas. Celsius Holdings, Inc. (Nasdaq: CELH), founded in April, 2004, is a global company, with a proprietary, clinically proven formula for its brand CELSIUS®. Celsius Holdings, Inc. has a corporate mission to become the global leader of a branded portfolio which is proprietary, clinically proven, or innovative in its category and offers significant health benefits. CELSIUS®’ original line comes in seven delicious sparkling and non-carbonated flavors in sleek 12oz cans and is also available in single-serve powdered packets. CELSIUS®’ new natural line is available in six refreshing flavors: three sparkling and three non-carbonated. This line is naturally caffeinated and naturally sweetened. New to the portfolio, CELSIUS HEAT™, (www.CELSIUSHEAT.com) a trainer-grade version of the proprietary blend, offers additional caffeine as well as L-Citrulline, a proven vasodilator. CELSIUS HEAT™ is sold in 16oz cans and is available in five carbonated flavors: Inferno Punch, Cherry Lime, Blueberry Pomegranate, Strawberry Dragonfruit and Tangerine Grapefruit. CELSIUS HEAT™ targets professional trainers, endurance & competitive athletes, those who focus on defined, physical results and the military, versus the flagship line which comes in a smaller package and appeals to the masses as an active lifestyle brand. CELSIUS® has zero sugar, no preservatives, no aspartame, no high fructose corn syrup, and is non-GMO, with no artificial flavors or colors. The CELSIUS® line of products is kosher and vegan certified, soy, gluten, and sugar-free and contains very little sodium. CELSIUS® is sold nationally at fitness clubs, 7-Eleven stores, Sprouts, The Fresh Market and key regional retailers such as HEB, Publix, Winn-Dixie, Harris Teeter, Shaw’s and others. The first university study of the science underlying CELSIUS® products was conducted in 2005 and additional studies from the University of Oklahoma were conducted over the next five years. All studies were published in peer-reviewed journals and validate the unique benefits that CELSIUS® provides. For more information, please visit www.celsiusholdingsinc.com.